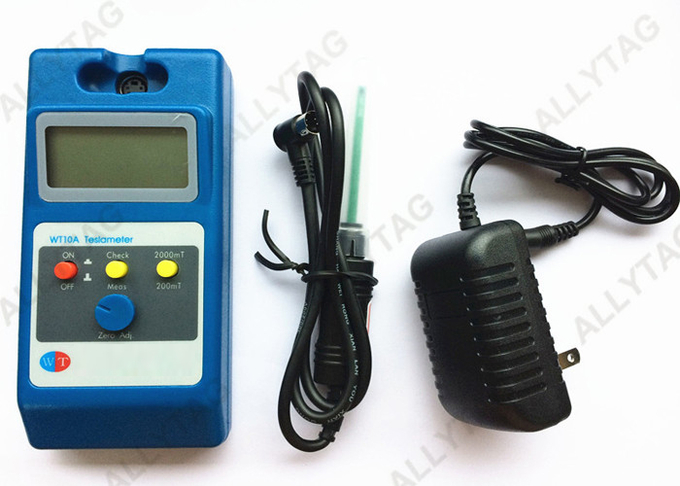 This instrument is the magnetic field measuring instrument specially designed for field measurement. Its design concept of lightness, practicality and portability has been determined at the beginning of instrument design and its unique design of micro power consumption allows its battery life to be greatly improved. Have judgment function of magnetic field polarity. Step 3: After the power is energized, firstly select a corresponding range ③according to the magnetic field size of the measured object. 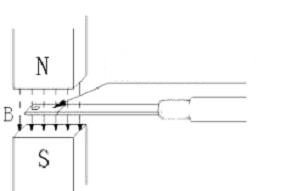 Step 4: Zero point correction: Place the Hall probe in the area whose magnetic field is zero. 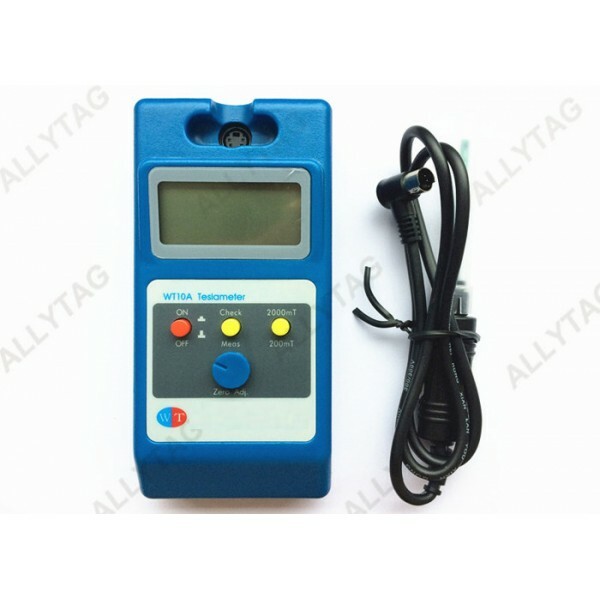 When the meter reading is not zero, adjust “Zero” ⑤potentiometer till the reading is zero. A. 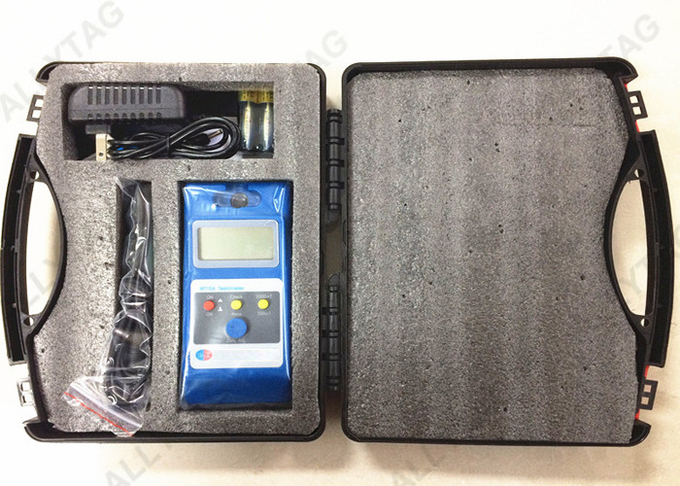 Place the Hall probe in the surface magnetic field of the measured sample, move the Hall probe and the magnetic field intensity can be directly read from the instrument, whose unit is mT and the magnetic field polarity also can be judged (When using transverse probe and the display value is “-”, the end side of the Hall probe faces N pole. C. Contact the magnetic steel surface with Hall chip side in the practical measurement, the measurement result is closer to the actual value. 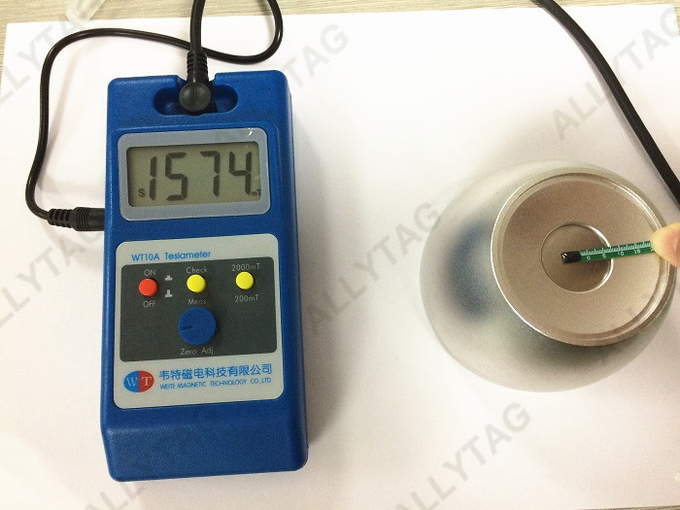 When measuring with base plate side, the measurement result is little low, 1mT = 10 Gs. 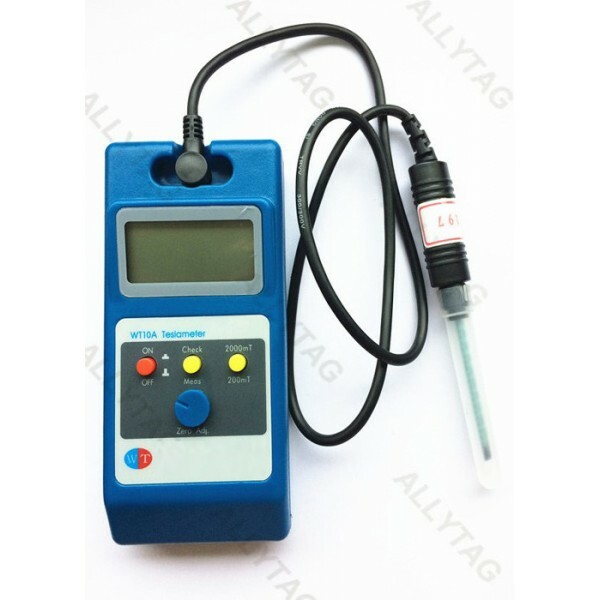 Place the Hall probe in the standard magnetic field and adjust the “Calibration” ⑦potentiometer with small slotted screwdriver till the instrument reading is consistent with the numerical value of the standard magnetic field. 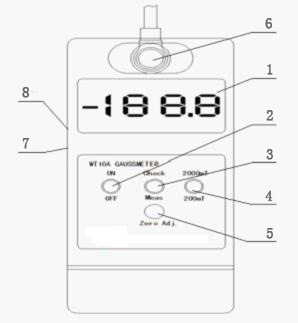 Generally, it will be required to calibrate the instrument only after the Hall probe is replaced. When you test, make sure the mark line face to yourself and the opposite press close to the permanence magnet.